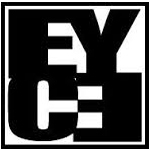 Eyce was founded with one idea in mind, to create an ice product that was fun, new, and different, but also simple and functional enough to be worth using on a regular basis. Believe it or not, Eyce has spent over 2 years engineering the quality product you see today. The idea behind Eyce is simple, to have an affordable smoking tool that creates the smoothest, coolest hit possible. Their Eyce Mold routinely creates a water pipe from water after less than an hour in the freezer.